Interior decorating: concrete walls can be decorated in many different and stunning ways. Discover how beautiful a concrete wall can be. You can change the look of a plain concrete wall by painting it. If this is the option you choose, it's important to prepare the concrete first. This is called finishing. Once the concrete has been finished, you need to decide which type of paint to use. The second step in the finishing process involves adding one or two coats of primer. Use an oil based primer and repeat the same process you used for the sealer. Add a second coat if necessary. Once the finish is completed, the wall is finally ready to be painted. There are several options for types of paint to use. There are advantages and disadvantages to each type. Latex is a water based paint and is the least expensive type. It is definitely the easiest paint to apply to a concrete wall but it is not as durable as other types of paint. Latex is better for new concrete because it allows moisture to pass through. Choose a latex paint that is specially made for concrete. Remember not to paint concrete until it is at least 28 days old. Oil based paint is more durable than latex paint as it dries with a harder finish. It is more difficult to clean up because you need to use mineral spirits to break it down. Proper ventilation is needed when using oil based paint because of the strong odor. You get the best result by using an oil based primer which will actually bond with the concrete. Look for an oil based paint formulated for concrete. The most expensive option is epoxy paint. Applying epoxy paint to concrete is a two step process because epoxy is a combination of a liquid resin and a hardener. With proper ventilation, this type of paint will bond better to the concrete than any other paint. Epoxy paint is more complicated to apply and it's harder to clean. However, it is by far the most durable and perhaps the best type of paint for complete coverage of concrete. You must make sure to buy the correct type of concrete epoxy paint. One formula is designed for floors and the other is designed for walls. The wall formula has a special additive that keeps the paint from sliding off the wall. The difference between painting concrete and staining concrete is that paint sits on top of concrete while a stain actually colors the concrete by soaking into the material. Once concrete is stained, the color is permanent. 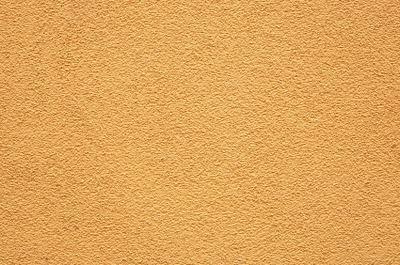 If you decide to stain a concrete wall, choose the color carefully. You won't be able to change it by re-staining and you can't really fix mistakes with stain. It is recommended that you let a professional stain your concrete. Concrete wall overlays for vertical surfaces are the latest technique for adding a dramatic finish to ordinary concrete walls. A new material known as Flex-C-Ment is applied directly over the primed vertical wall. It is a thick material that can create beautiful, natural stone or rock textures. Flex-C-Ment can be built out 3 inches or more and is fire resistant, weather resistant and waterproof. The stone patterns can be made in any size and shape. Flex-C-Ment is 20% to 40% cheaper than manufactured stone to install. This option will completely transform your concrete wall. View the many samples of concrete wall overlays. Interior decorating of concrete walls using overlays is an amazing look that also works for exterior decorating as well.